The Draper Ultimate Folding Screen and Cinefold Case is a rugged, molded polyethylene carrying case with wheels that is a replacement for the original case supplied with the screen. The case has a steel recessed handle with a rubber grip on the lid, a molded handle at each end and built-in wheels. The lid is secured with two adjustable straps and stacks with the lid on or nests compactly with the lid off. 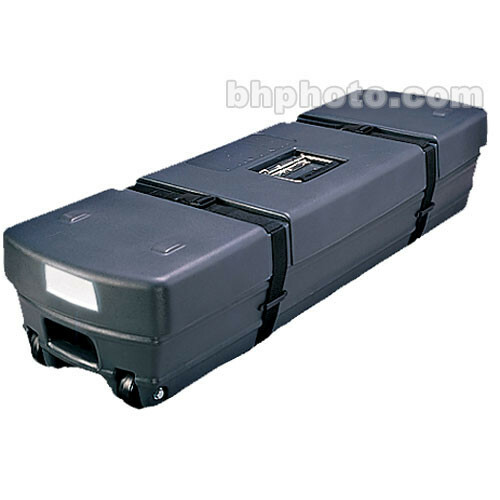 Rugged molded Polyethylene wheeled case made to carry and protect a folding projection screen. will this case work for the Draper Diplomat 84? This case is 9.5x13.5x45 and designed only for folding screens. An 84 tripod screen will not fit.